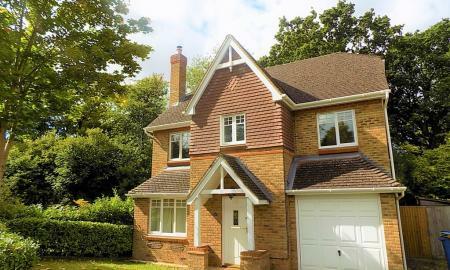 Martin & Co are delighted to offer to the rental market this superb detached family home situated at the end of a cul-de-sac and surrounded by Woodland. Located on the ever popular Zebon Copse Development the extensive accommodation comprises of 4 bedrooms, 2 of which have en-suite facilities, family bathroom, bonus room/bedroom 5 to the 2nd floor, Large kitchen/breakfast room with some integrated appliances, lounge, dining room, garage and off road parking for 3 vehicles. The whole property is presented in truly outstanding condition and must be seen. Available from the 10th May on an unfurnished basis. Call Martin & Co now to view! Sorry no pets. 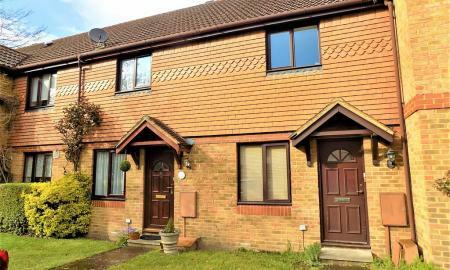 Martin & Co are pleased to bring to the market this three bedroom, mid terrace family home, located in a gated development in Farnborough. Accommodation boasts a good sized living room, modern kitchen/diner, downstairs wc, modern bathroom, three double bedrooms, and a further study area with an en-suite. Further benefits include a private south facing garden, two allocated parking spaces, built in storage throughout, double glazing and gas central heating. Available immediately on an unfurnished basis. Sorry no pets. Martin & Co are pleased to bring to the market this four bedroom, extended semi-detached home,situated in a sought after location in Aldershot within close proximity to St Michael's and All Hallows schools. Accommodation comprises of a spacious living room, large open plan kitchen dining room with granite works surfaces, family bathroom, three bedrooms to the first floor and a master bedroom and en-suite toilet to the second floor. 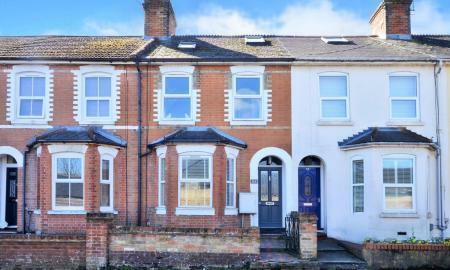 Further benefits include gas central heating, double glazing, garage, off street parking and private rear garden. The property is available from the 29th April on an unfurnished basis. VIEWINGS FROM THE 23RD APRIL! 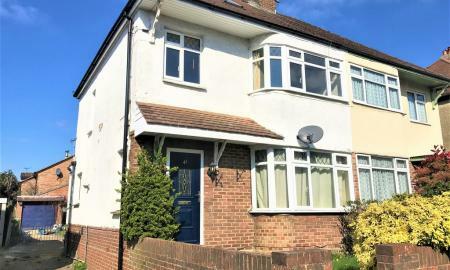 Martin & Co are pleased to bring to the market this beautifully presented, three bedroom, mid terrace home, located on Green Way in Aldershot. Accommodation boasts a good sized living room, spacious kitchen/diner with appliances, modern bathroom, two double bedrooms and a further single. Further benefits include redecoration throughout, driveway parking for multiple vehicles, private rear garden, gas central heating and double glazing. Available from the 1st May on an unfurnished basis. Sorry no pets. 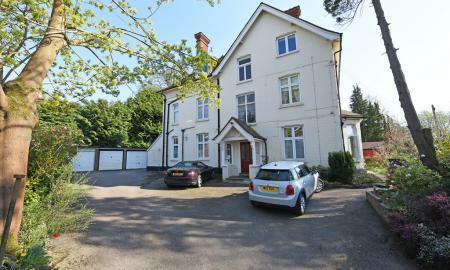 Martin & Co are pleased to bring to the market this three bedroom, top floor, split level apartment, located on Church Avenue in Farnborough. Accommodation boasts a spacious living room, modern spacious kitchen/diner, modern bathroom, three double bedrooms and an en-suite to the master. Further benefits include a garage, off road parking, gas central heating and double glazing. Available from the 7th June, on a furnished or unfurnished basis. Sorry no pets. 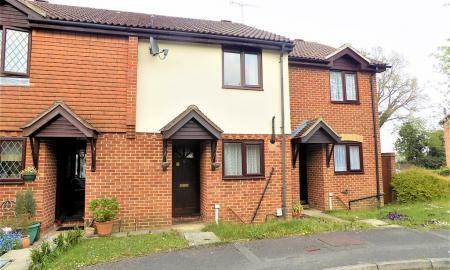 Martin & Co are pleased to bring to the market this three bedroom, mid terrace house, located on Busk Crescent in Farnborough. Accommodation comprises of a good sized living room, large modern refitted kitchen, conservatory, modern refitted bathroom suite, two double bedrooms and a further single. 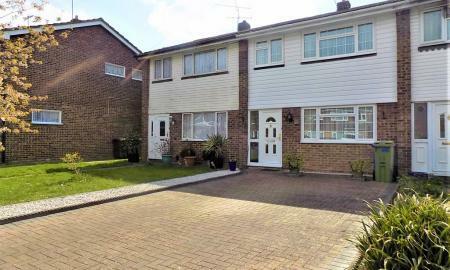 Further benefits include a large rear garden, driveway parking, gas central heating and double glazing. Available immediately on an unfurnished basis. Martin & Co are pleased to bring to the market this beautifully presented, three bedroom, first floor apartment in a brand new development in Aldershot. This property consists of two fantastic sized double bedrooms with a built in wardrobes in both, a good sized single, luxury bathroom suite and brilliant sized open plan living room/kitchen with granite work surfaces and integrated appliances. Further benefits include video security entry, double glazing, Juliette balcony in the living room, two allocated parking space & visitor parking. Available from the 1st July on an unfurnished basis. Sorry no pets. Martin & Co are pleased to bring to the market this two bedroom, first floor apartment, located in Lynx Court as part of the popular Redrow development in Farnborough. Accommodation comprises of a spacious open plan living room/kitchen, two double bedrooms with an en suite & built in wardrobe in the master, and a modern bathroom. Further benefits include a balcony, allocated parking, double glazing and lift access in the communal areas. Available from the 6th May on an unfurnished basis. Sorry no pets. Martin & Co are pleased to bring to the market this three bedroom, mid terrace house, located in the award winning Avondale development in Ash Vale. Accommodation boasts a spacious living room, good sized kitchen, recently refitted bathroom, two double bedrooms and a further single. Further benefits include new carpets in all of the bedrooms, a private rear garden, off street parking, garage, gas central heating and double glazing. Available from the 12th April on an unfurnished basis. Sorry no pets. £200 OFF THE FIRST MONTHS RENT FOR A MOVE BY THE 11TH APRIL! 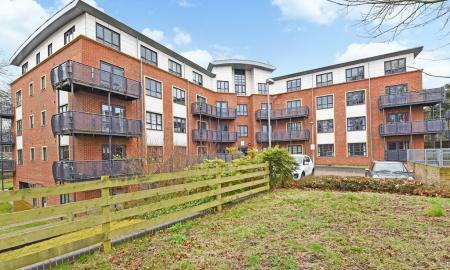 Martin & Co are pleased to bring to the market this spacious two bedroom, second floor apartment, located in the ever popular Redrow development in Farnborough. Accommodation comprises of a spacious open plan living room/kitchen, modern bathroom, spacious double bedrooms, and an en-suite to the master. Further benefits include a balcony, allocated parking, double glazing and lift access in the communal areas. Available from the 11th April on a fully furnished basis. Sorry no pets. 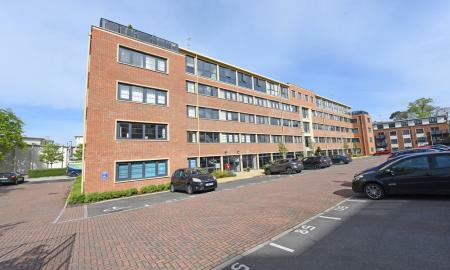 Martin & Co are pleased to bring to the market this fully furnished, large 2-bedroom third floor apartment, located in the popular Wessex Court in Farnborough. Accommodation boasts a spacious open plan living room/kitchen, two fantastic sized double bedrooms with an en suite to the master, and a modern bathroom. 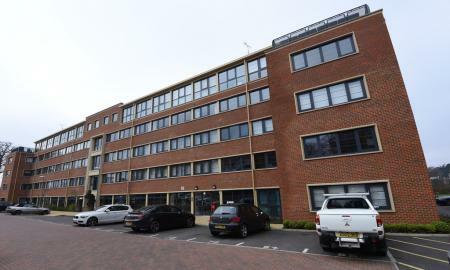 Further benefits include an allocated parking space, double glazing, lift access in the communal areas, and it is located just a short walk away from the IQ Business Park, Farnborough railway station and the town centre. Available from the 14th May on a fully furnished basis. Sorry no pets. 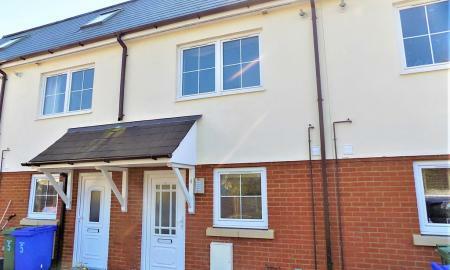 REDUCED FIRST MONTHS RENT TO £900, SUBSEQUENT RENT WILL BE £1100PCM! Martin & Co are pleased to bring to the market this well presented, sunny, spacious two bedroom first floor apartment in the popular Farnborough Central Development, located within walking distance to the IQ Business Park and Farnborough train station with access to London Waterloo from only 34 minutes! This is one of the larger two bedroom apartment designs we have dealt with in this Redrow built development and has the added benefit of a west facing balcony. Accommodation comprises of a spacious, open plan living room/kitchen, two double bedrooms with an en-suite to the master, and modern bathroom. Further benefits include allocated parking space, double glazing, security entry and lift access in the communal areas. 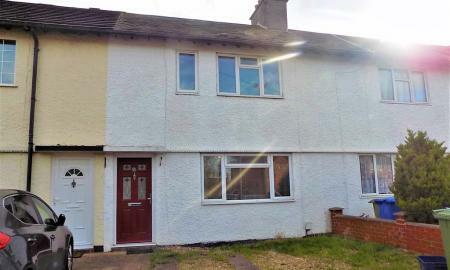 Available from the 2nd April on an unfurnished basis. Sorry no pets. Martin & Co are pleased to bring to the market this well presented, spacious two bedroom furnished second floor apartment in the popular Farnborough Central Development, located within walking distance to the IQ Business Park and Farnborough train station with access to London Waterloo from only 34 minutes! Accommodation comprises of a spacious, open plan living room/kitchen, two double bedrooms with an en-suite to the master, and modern bathroom. Further benefits include allocated underground parking space, double glazing, security entry and lift access in the communal areas. Available from the 3rd May on a furnished basis. Sorry no pets. 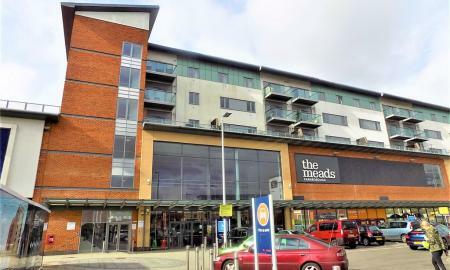 Martin & Co are pleased to bring to the market this top floor, two bedroom apartment, located in the popular Queensmead development in Farnborough. Accommodation comprises of a spacious open plan living room/kitchen, fantastic sized master bedroom with en-suite shower room, second double bedroom and modern family bathroom suite. Further benefits include a balcony, permit parking, gas central heating, double glazing and lift access in the communal areas. Available from the 11th May on an unfurnished basis. Sorry no pets. £200 OFF THE FIRST TWO MONTHS RENT FOR A MOVE BY THE 15TH APRIL! 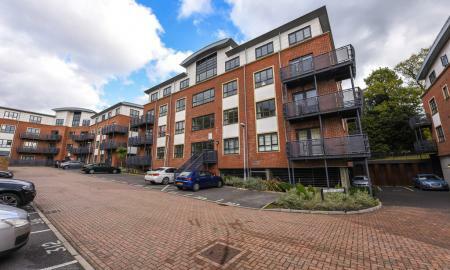 Martin & Co are pleased to bring to the market this fantastic sized, modern, first floor apartment, located in the new Queens Gate development in Farnborough. Accommodation boasts a spacious open plan living room/kitchen with enough room for a dining area, two good sized double bedrooms, an en suite to the master bedroom and modern bathroom. 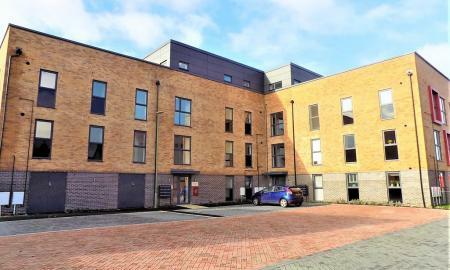 Further benefits include an allocated parking space, Juliette balcony, lift access in the communal areas, gas central heating and double glazing. Available from the 15th April on an unfurnished basis. Sorry no pets or housing benefits. Martin & Co are pleased to bring to the market this immaculately presented, two bedroom end of terrace house, located in a popular residential development in Ash. Accommodation boasts a good sized living room, modern refitted kitchen, conservatory, two double bedrooms with built in wardrobes and a modern refitted bathroom. Further benefits include new carpets & décor in recent years, good sized low maintenance rear garden with decking area, off road parking, gas central heating and double glazing. Available from the 30th April on an unfurnished basis. Sorry no pets or housing benefits. £200 OFF THE FIRST MONTHS RENT FOR A MOVE BY THE 30TH APRIL! 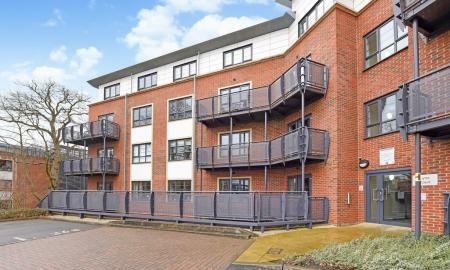 Martin & Co are pleased to bring to the market this well presented, two bedroom top floor apartment in the popular Farnborough Central Development. Accommodation comprises of a spacious, open plan living room/kitchen, two double bedrooms with an en-suite to the master and modern bathroom. 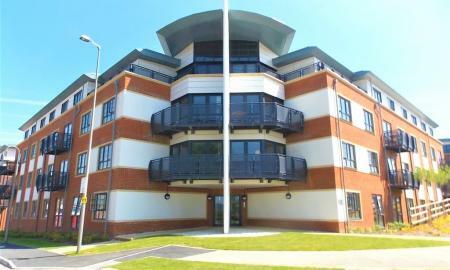 Further benefits include allocated parking space, double glazing, security entry and lift access in the communal areas. 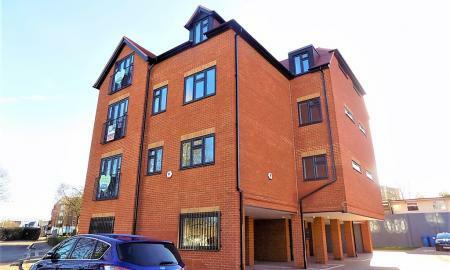 The apartment is conveniently located within walking distance to the IQ Business Park and Farnborough train station with access to London Waterloo from only 34 minutes! Available from the 10th April on an unfurnished basis. Sorry no pets. Martin & Co are pleased to bring to the market this immaculately presented, new build, second floor, two bedroom apartment in the new Taylor Wimpey development in Bordon. Accommodation boasts a bright & airy, open plan living room/kitchen with integrated 'Smeg' appliances, two fantastic sized double bedrooms, en suite to the main bedroom, and good sized bathroom. 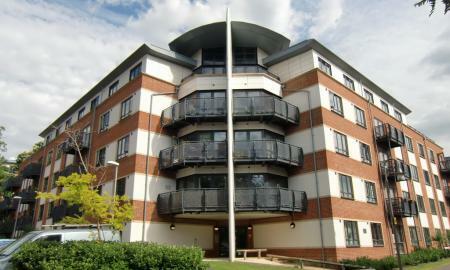 Further benefits include a balcony, two allocated parking spaces, gas central heating and double glazing. Available from the 9th March on an unfurnished basis. Sorry no pets. To be freshly decorated, this two bedroom character cottage situated on the the borders of Normandy. Accommodation comprises of a good sized living room, modern 'Shaker' style kitchen/diner, modern bathroom suite and two spacious double bedrooms. The property is ideally located for access to local amenities and is within walking distance of Ash station. Further benefits include stripped wood flooring, gas central heating, UPVC double glazed windows and a private courtyard garden to the rear with a raised decked seating area. Available immediately on an unfurnished basis. Sorry no pets. 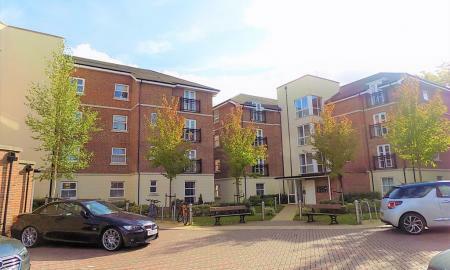 Martin & Co are pleased to bring to the market this fully furnished, one bedroom, top floor apartment, located in the popular Wessex Court in Farnborough. Accommodation boasts a spacious open plan living room/kitchen, modern bathroom, and a good sized double bedroom. Further benefits include an allocated parking space, security entry, double glazing and lift access in the communal areas. Available from the 21st May on an furnished basis. Sorry no pets. Martin & Co are pleased to bring to the market this beautifully presented one bedroom, second floor apartment, located in Wessex Court as part of the popular Redrow Development in Farnborough. This bright & airy property comprises of a good size living room/diner, modern kitchen with fitted appliances, modern bathroom, and double bedroom with built in wardrobe. Further benefits include an allocated parking space, double glazing and lift access in the communal areas. Available immediately on a fully furnished basis. Sorry no pets. 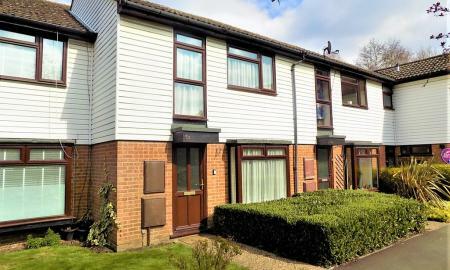 Martin & Co are pleased to bring to the market this two bedroom, mid terrace house, located in Britten Close in Ash. Situated just a short walk away from Ash train station, this property comprises of a spacious living room, good sized kitchen with appliances, modern bathroom and two double bedrooms. Further benefits include two allocated parking spaces, private rear garden, gas central heating and double glazing. Available immediately on an unfurnished basis. Sorry no pets.